A new official version of POV-Ray has just been released. 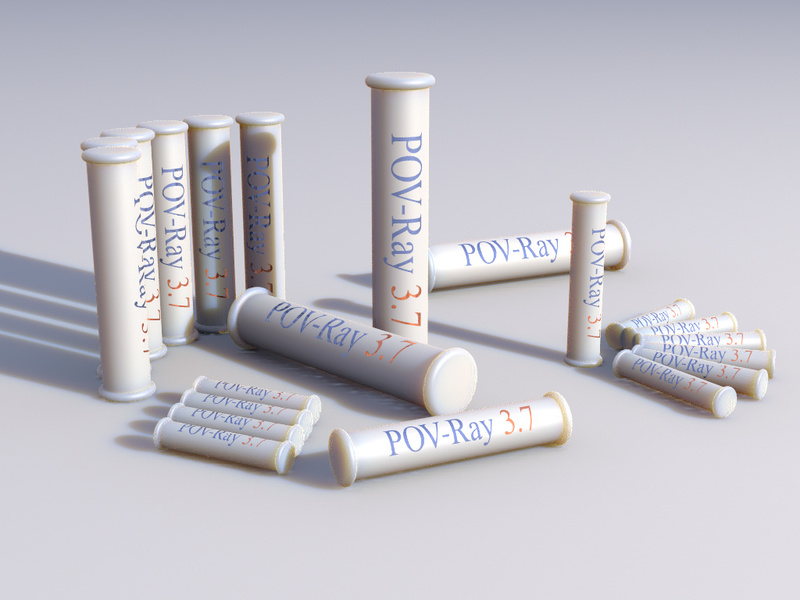 POV-Ray 3.7 has been in the ‘beta’ phase for a really long time now – so long that speaking of a beta phase is hardly appropriate any more. Since other than with previous official releases the 3.7 beta phase has been fully open during the last years with the development sources available under GPL license the official release is somewhat more symbolic now. Still it is an important step, especially considering quite a lot of things have changed including changes that break backwards compatibility. With the official release there is a good chance that features not classified as experimental will now be stable for the foreseeable future so for those using POV-Ray in a production environment who have been reluctant to upgrade might want to consider it now. While POV-Ray 3.7 has originally been intended purely as a internal redesign bringing mostly multithreaded rendering there are now quite a lot of new features but more importantly there are various enhancements and fixes for things that previously had to be handled by more or less ugly workarounds. Some links: There is the main download page, a list of new features and also a new github repository. Note for building on a Unix system you need to run the prebuild.sh script (which is somewhat nonstandard so i point it out here). The build system is also still somewhat unfinished – to build the current release from scratch i had to add boost linking options by hand and PNG output seems to be broken in that built. I have not been actively contributing to POV-Ray for some time now and building the release version i noticed to my slight embarrassment that the Unix frontend still uses the whacky SDL based display code i put together during early 3.7 development as a temporary solution. But it works and the Unix frontend has always been quite minimalistic anyway. The above scene by the way is adapted from one of the sample scenes I originally made for POV-Ray 3.5. The version above adds subsurface scattering, one of the new 3.7 features and fixes various other issues – you can download it here.